Dean Ambrose Opens Up About MRSA: "I Nearly Died"
The 'Lunatic Fringe' nearly met his unhinged maker. 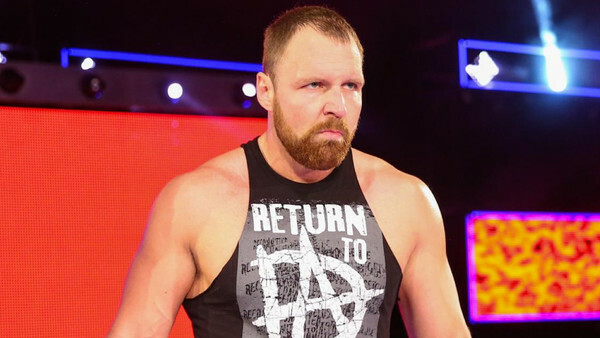 Everybody's favorite wacky uncle / unhinged lunatic Dean Ambrose recently spoke with 'The Monitor' and discussed the eight months he spent on the shelf from injuries. As far as the fans were concerned and that WWE had explained, Ambrose was dealing with a triceps injury, but the Shield member revealed that his true issues spread much deeper than that. I ended up having two different surgeries. I had this MRSA, Staph infection, I nearly died. I was in the hospital for a week plugged up to this antibiotic drip thing, and I was on all these antibiotics for months that make you puke and crap your pants. While serious triceps injuries like the one Ambrose had suffered from are nothing to scoff at, staph infections are an entire different level of health concern. If you recall, MRSA is the same infection CM Punk suffered from and WWE's handling of which played a big part on him quitting the company. I wasn’t able to flex my triceps for a really long time, and then the first surgery didn’t really work, something went wrong in the process. Probably due to that infection. It’s kind of hard to say when that really even got in my body... By the time I got that second surgery, it was March I think. My arm was so shrunken and skeletal that it was weird. I hadn’t been able to move it or flex it in so long that I was starting to get scared I wasn’t ever going to get it back. To go from not being able to eat my Froot Loops, to being able to get back in the ring and throw people around and throw punches and do everything back to normal, it was a very gratifying feeling.